(Natural News) Following North Korea’s recent test of an ICBM believed to be capable of striking all of the United States, a top U.S. senator says he will urge the Pentagon to stop sending family members and dependents of military personnel during their year-long deployments to South Korea. As Pyongyang pushes the United States closer to a conflict, Sen. Lindsey Graham, R-S.C., said now is the time for the Defense Department to begin moving families out of harm’s way on the peninsula, adding he will push Pentagon leaders and the Trump administration to do that. “So, I want them to stop sending dependents, and I think it’s now time to start moving American dependents out of South Korea,” he added. Graham’s comments come on the heels of a North Korean missile test last week, the first in about 2 1/2 months. 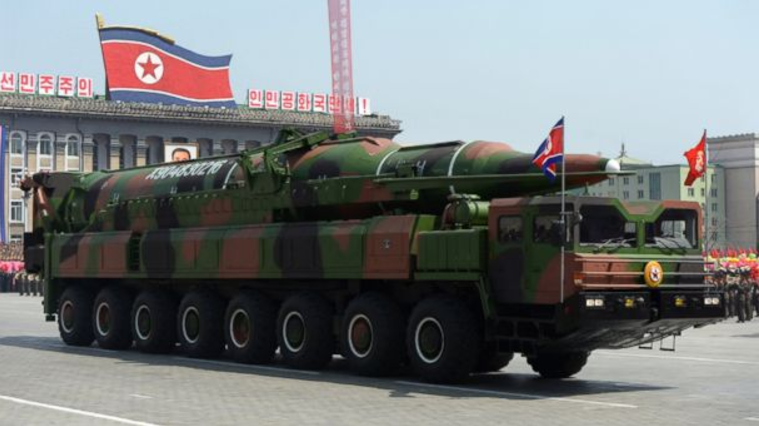 That missile — a Hwasong-15 — traveled on a trajectory into the upper atmosphere that experts said would amount to about 8,000 miles if it had been flat. That puts all countries on the planet within reach, including the United States. And Graham — along with President Donald J. Trump — has called that threat unacceptable, given the U.S. intelligence community’s estimate that the North is within a year or less of perfecting a nuclear warhead design to fit atop its ICBMs. Graham said he is confident that the Trump administration is more than capable of handling the North Korean threat. “He’s got the best national security team of anybody I have seen since I have been to Washington,” Graham said of the president. Graham, a former Air Force officer and lawyer, has been in Congress since 1995. On the campaign trail last year and since, Trump has vowed to deny North Korea a nuclear capability and the means to strike the American homeland. Lt. Gen. H. R. McMaster, Trump’s national security advisor, also sounded a dire warning over the weekend, when he told the Reagan National Defense Forum in California that the odds of war breaking out in Korea were increasing each day. “I think it’s increasing every day, which means that we are in a race, really, we are in a race to be able to solve this problem,” he said. “There are ways to address this problem short of armed conflict, but it is a race because he’s getting closer and closer, and there’s not much time left,” he added, in reference to Kim’s continued missile tests and the likelihood he will conduct an above-ground nuclear test in the coming months. As for Graham, this isn’t the first time he’s warned of war on the Korean peninsula. He was adamant in August that a “military option” does indeed exist for North Korea, contrary to popular thought, and that Trump was prepared to use it to defend the country. “There is a military option to destroy North Korea’s program and North Korea itself. If there’s going to be a war to stop him [Kim Jong Un], it will be over there. If thousands die, they’re going to die over there, they’re not going to die here and he’s [Trump] told me that to my face,” he said. Read more of J.D. Heyes’ work at The National Sentinel, where he is editor-in-chief. Previous :Is the vaccine industry more like Harvey Weinstein or Jared Fogle?